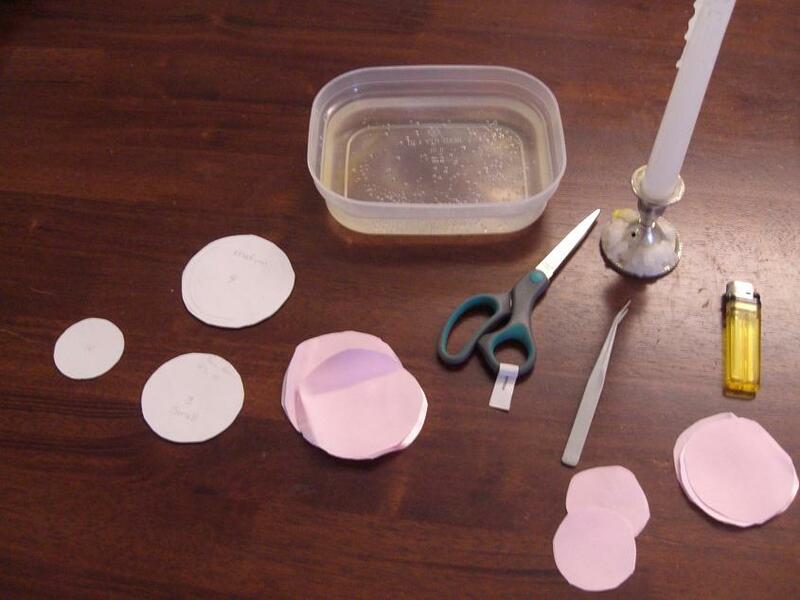 Home » How to make » How to make satin fabric singed flowers. 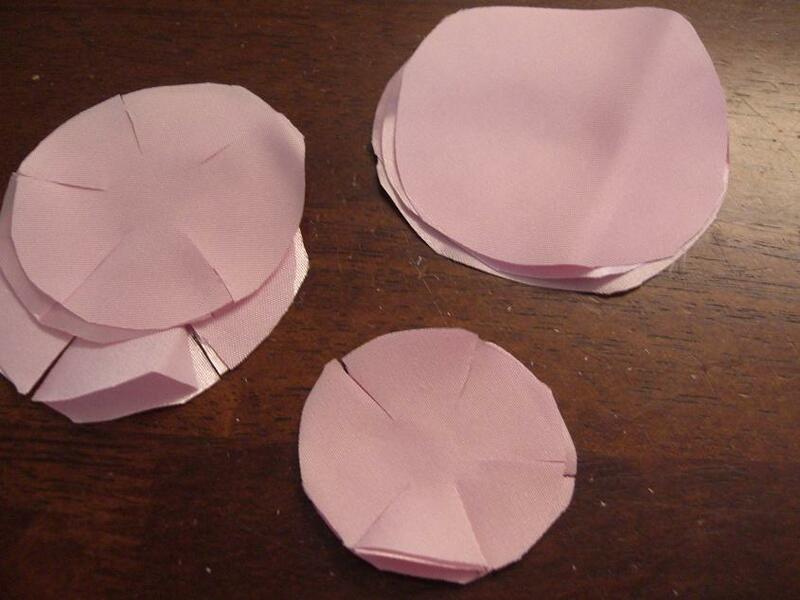 I used 8cm, 7cm and 6cm circle templates for this flower. Cut out your circles. I cut 4 of each size. 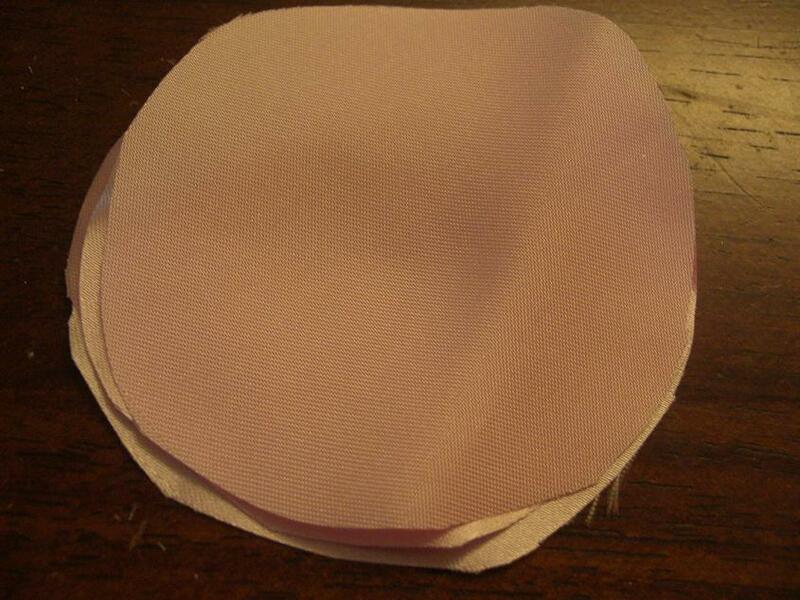 Once you have cut out all your circle. 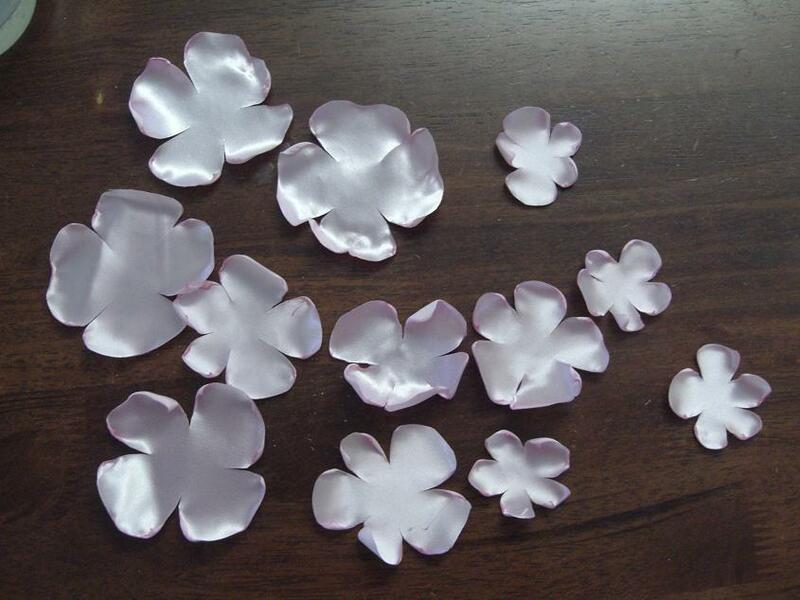 I place 4 the same size on top of each other and cut slits to make 5 petals. You always want an odd number it looks better. But that is just my opinion. Light your candle. 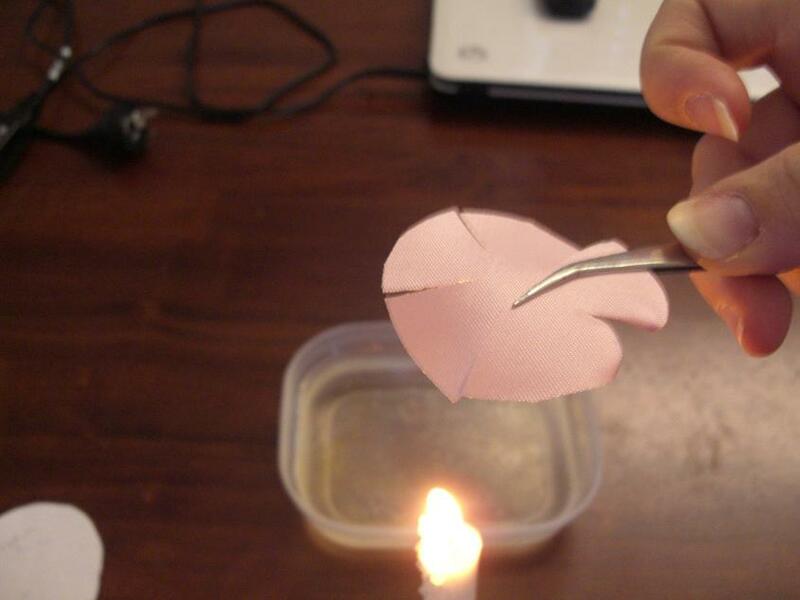 Use your tweezers to hold the flower about 1 to 2 cm about the flame. The fabric must not touch the flame. I hold the fabric with the cut over the flame. The fabric will curly towards the flame. I held the fabric with the shiny side down towards the flame. You can alternate between petals to change the effect. Once you have all your petals singed. 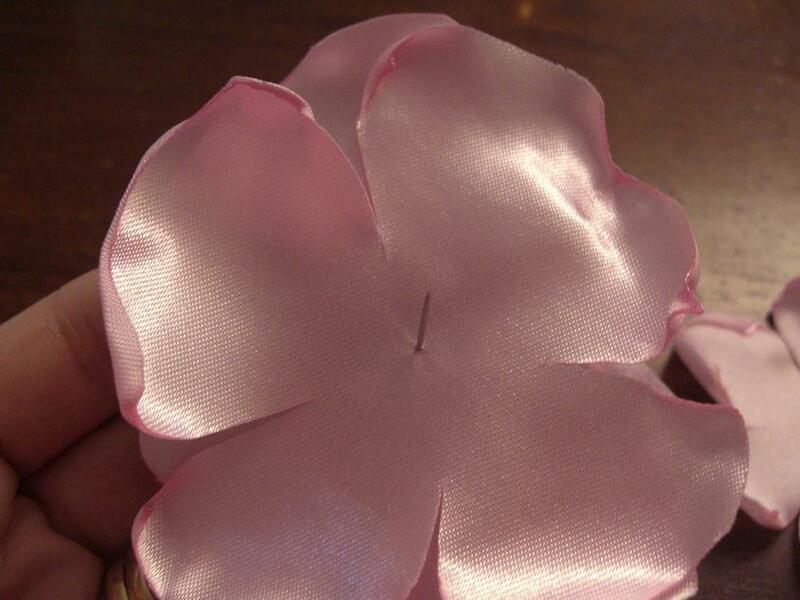 Thread you needle and tie it to the bottom petal. Feed your needle so it is sitting part way through the first petal. Now feed each petal on turning each one. 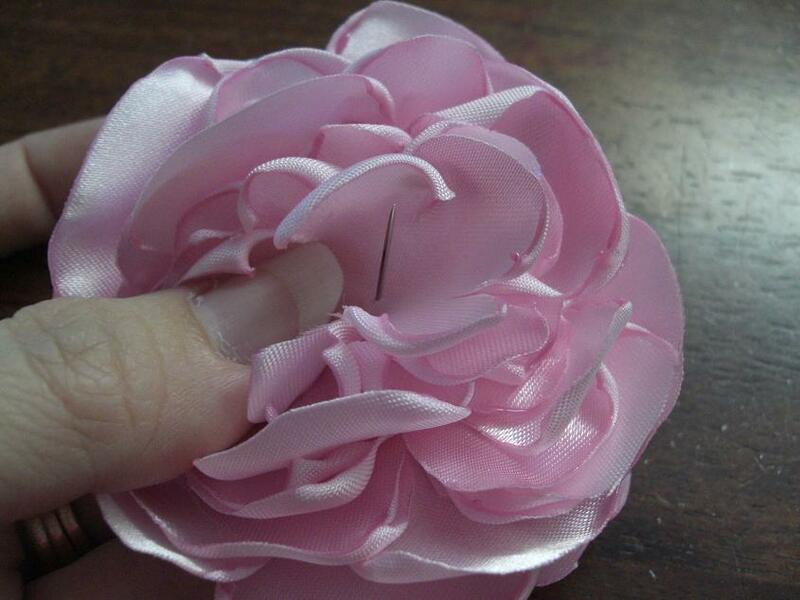 Once you have all your petals on the needle pull it thought and sew it together a few times than knot it. You now have your finished flower. You can embellish the centre with a rhinestone button see our large range on the website. Play around with different types of satin fabric’s. 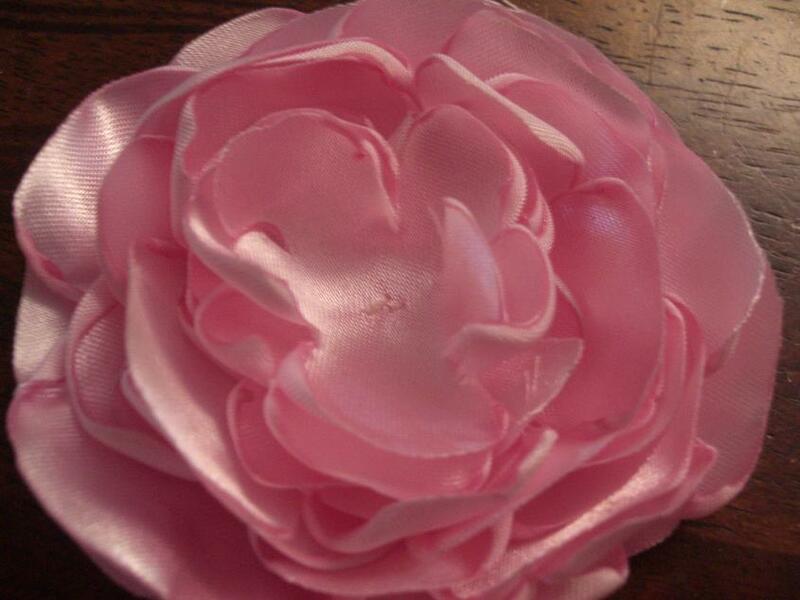 You can also add organza or lace be careful it curls very quickly so hold it further away from the flame. Holding the fabric over the flame closer to the centre of the fabric will make if curl more. Have fun and make sure you have your bowl of water ready if you put the fabric to close to the flame it will burn. Please do not copy our tutorials is you would like to share them please link back to us. You many use one photo only. ← New nagorie curly feather hackles now in 28 colours.